Lee Strobel is one of the most well-known apologists in modern Christianity. But he never openly talked about the supernatural until now. Strobel's journey from atheist to advocate for Christ's lordship is well-documented. His book The Case for Christ sold over 5 million copies, with the same-titled film ranked 10th at the box office its opening weekend last April. Follow-up books making the cases for faith, a Creator and more have also sold millions. But his latest, The Case for Miracles, takes him into new territory. "[Even though] I believe in the miracles that happened in the Gospels, I wondered if God really still acted today," Strobel says. "Is He really doing miraculous things today? You hear reports, and sometimes you wonder, 'Could there be another explanation? Might it be the placebo effect where people think they are going to feel better, so they do? Could it be a mistaken diagnosis, a charlatan at work or spontaneous remission?' There are a lot of those possibilities. So I ... decided I would take time to investigate the supernatural to see if there was any hard evidence that God is still active in the world today." The book's findings will delight some—and elicit Strobel-like skepticism from others. Many evangelical readers hold a cessationist theology, which contradicts what Strobel found: The Holy Spirit still performs healings and miracles. Yet if anyone is up to the task of convincing these skeptics, it's Strobel. A trained journalist, he lets the evidence dictate his conclusions, not the other way around. Alex McFarland, director of the Christian Worldview Center, calls Strobel "the real deal." "Lee doesn't speak in generalities," McFarland says. "Like any good reporter, Lee gives documentable facts. He is out to set forth a case, explain and prove the premise (in this case, that the biblical God exists, is working in the world and can be known personally)." Mark Mittelberg is a fellow apologetics writer and speaker who has collaborated with Strobel for the past 30 years. Mittelberg says the author's personal bias hinders many books about miracles, and that's where Strobel's dispassionate journalistic model pays off. "Many of the books on this topic are on one extreme of the continuum or the other," Mittelberg says. "They're either written by critics who are bent on discrediting the supernatural, or else by enthusiasts who quickly grab onto every miraculous story they hear. The Case for Miracles is different. ... So it has a bit of a cautious tone up front, but that is mixed with an openness to discover what God might really be up to. The result is that through not just the stories but also the corroborating evidence, you find yourself becoming convinced, along with the author, that the Holy Spirit is up to some really amazing things these days." Strobel applied his patent research and in-depth interviews to find out how God is still moving in today's world. He traveled all around the United States speaking with experts and skeptics alike, and the results astounded him. 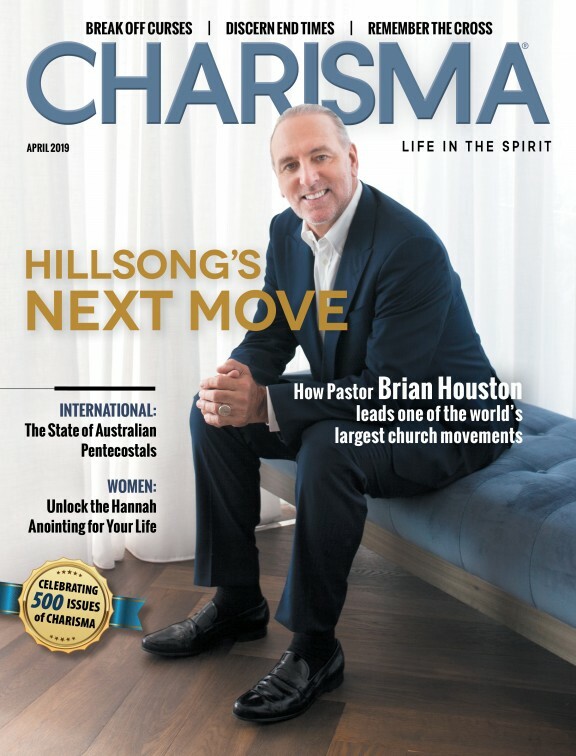 He spoke with Charisma about his supernatural findings. Strobel devoted significant time and research to unveiling the supernatural. The Case for Miracles details awe-inspiring miracles that cannot be explained away through anything but the power and might of an omnibenevolent God. Ryan Romeo, co-founder of the Outcry Tour, which features artists, worship leaders and speakers, says Strobel's research is a "faith booster" for the miraculous, one that should win over even supernatural skeptics. "Lee hits both the charismatic and skeptical views thoroughly," Romeo says. "He talks about the miraculous while not shying away from the pain and disappointment of the miracles that didn't happen. It is a respectful and careful exposition that I think all Christians can identify with. Ultimately, the book shows that the miracle-working nature of God can be something the church can find common ground on." Strobel's research included speaking to people who were on their deathbeds until God intervened. One woman, Barbara, lost control of her body to multiple sclerosis. Bound to her hospital bed, she was labeled as one of the most "hopelessly ill patients." Mittelberg says hers is "probably the most amazing modern healing" he's heard about. "A caller on Moody Radio in Chicago asked people to pray for her friend," Mittelberg says. "People prayed, and Barbara, who had been horrifically handicapped, blind and wheelchair-bound for many years, suddenly heard God say to her 'My child, get up and walk!' She obeyed and was instantly healed of her every ailment." God healed Barbara in 1981. Today, she's a pastor's wife who gladly shares the gospel and her testimony with anyone who will listen. Another man, Duane Miller, lost his voice to the flu in 1990. He resigned as pastor and lost a subsequent job because he couldn't speak. For three years, nothing more than a rasp escaped his throat—until one day, when members of a Baptist Sunday school class in Houston begged him to speak. While Miller was reading Psalm 103, the choking sensation fled his vocal cords, and the audience gasped. Miller could speak again. Strobel believes these testimonies could bridge the gap between evangelicals and Pentecostals. Though he's already widely revered in most Christian circles, his faith deepened through this research, and he hopes to help others' faith do the same. "Unfortunately, the church sometimes is not open to the miraculous in ways that we should be," Strobel says. "I speak from the perspective of a sort of a mainline evangelical. I don't come from a charismatic background, and I think maybe it's more important that I write this book than a well-known charismatic because, you know, I think the evangelical tradition in general needs to be more open to the work of the Holy Spirit." Evangelicals won't be the only ones surprised, however. Charismatic Christians may be shocked by the number of miracles that happen in non-charismatic environments, according to Mittelberg. "God is doing amazing things all around the world, and He's not limited to any certain culture, context or strain of Christianity," Mittelberg says. " ... My point is this: these things aren't just happening in Pentecostal or charismatic circles. They're happening to people from all kinds of denominational backgrounds and seem to be increasing. There's even a chapter on miracles that are prevalent in the Islamic world and how God is using them to draw Muslim people to Christ." In the United States, though, people of faith are often more closed off to the supernatural. Strobel attributes this to the fact that most Americans have their needs met through modern technology and access. Whereas someone in Mozambique would rely entirely on the supernatural to restore eyesight or hearing loss, Americans have hospitals and doctors who meet this need. Americans are also sometimes embarrassed by the supernatural. Strobel says they want to be seen as the nice neighbor who happens to love Jesus but isn't into that "weird stuff." But other countries aren't fearful, as the supernatural realm is much more transparent than it can be in America. Miracles precipitate the coming of the kingdom, Strobel says. In areas where the gospel is just now breaking through, God uses divine healings to validate His message. But that doesn't mean He has stopped working in our own neighborhoods. To see His power personally, Strobel says he prays for the Lord to open his own heart to the supernatural: God, help me. Help open my eyes so I can see Your presence in this world in ways that I've never have before. For others who want to see deeper works of the Holy Spirit, he continues the prayer: I want to see it in the natural processes of nature You've created. I want to see those supernatural moments where You intervene and blow our minds with Your creativity and Your love. Strobel believes Christians must learn to be more sensitive to the supernatural in order to embrace it. They must ask the Lord to "take away our pride, to take away our defensiveness, to take away our fear, because sometimes I think we fear the Holy Spirit. We fear what He might do that might be convicting or it might be uncomfortable to us instead of inviting Him in His fullness to participate in our lives and in our churches." Strobel says he prays this way more since delving into the miracle research. "I don't think I'm going to be the same the rest of my life, having written this book, having seen these stories, these reports, evidence of God's miraculous work," Strobel says. "I can't see God in the same way I used to. I see in a much more vibrant, personal, authentic, active way, more so than ever before." Miracles strengthen and affirm faith. They allow believers to celebrate God as healer and share His works. But what about when they don't come? Where is God when loved ones are attacked by cancer, when they're burned alive in a fiery crash or when a new baby doesn't make it home from the hospital? Strobel knew any serious examination of the supernatural had to address those questions. "I knew I couldn't write a book on miracles without dealing with [when miracles don't happen]," Strobel says. "My wife, [Leslie], has fibromyalgia. She's been in pain every day for 20 years. She will be in pain every day for the rest of her life unless God does a miracle. And the miracle hasn't happened, so this is a very relevant issue for me and for her." Strobel discussed this with philosophy professor Douglas Groothius, whose wife is dying prematurely from dementia. Strobel asked him a direct and personal question, "If you were God, would you heal your wife?" "No," Groothius said. "If I were God, I would have His perspective, I would understand all things that God understands, and I would do the same thing God is doing right now." Strobel says there's something about suffering that makes people act morally superior to Creator God. When healing doesn't happen, he says, "we think we know better than God. I know better than God. I want Leslie to be healed right now. And God apparently is not doing it, [so I might be tempted to think,] therefore, I'm smarter than God, I know better than God. That's just not true." Strobel says watching others receive a miracle can curdle bitterness in those who have been pleading for their own, to no avail. He asked people who have experienced miracles a gut-wrenching question. "Why you and not Leslie, my wife?" he asked, but the answer was always the same: "I don't know." "[I'd ask], 'Are you more spiritual?'" Strobel says. "[They'd say,] 'No, I don't think so. I just think for whatever reason, God in His sovereignty chose to heal me in a dramatic way, and He hasn't done that in all cases.'" For that reason, Strobel says, believers must be careful not to turn healing into an idol. God doesn't owe us miracles. "Healing has never been automatic," Strobel says. "I think the danger comes in when we make the healing an idol. ... We probably don't say it, but our attitude [says] that 'God, I will love You if You do what I tell You to do and heal me right now.' That puts us in a position of being God because now we're ordering God about, and we're putting an idol in the way. I think it's healthier to pray the prayer of relinquishment that Jesus prayed in the garden of Gethsemane, you know, 'Can you take this cup from me? But if not, I want Your will to be done.'" In the end, Strobel says, researching for The Case for Miracles didn't just convince him of God's miracle-working power; he says it also made him appreciate the mundane and nonmiraculous all the more. Both the natural and supernatural glorify God. "If God did miracles every moment of every day, we couldn't trust the natural processes of the world He set into motion," Strobel says. "We couldn't do science. So God set nature and the cosmos into motion, and most of the time, He works through the natural processes He Himself created. That's no less amazing than miracles that take place, when you consider the incredible way He designed things like childbirth and photosynthesis. ... Those things point us toward God too." Best-selling author Lee Strobel makes the case for miracles in an appearance on The 700 Club. 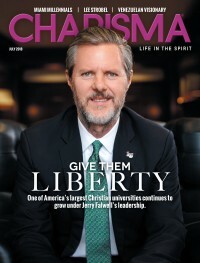 Watch at caseformiracles.charismamag.com.